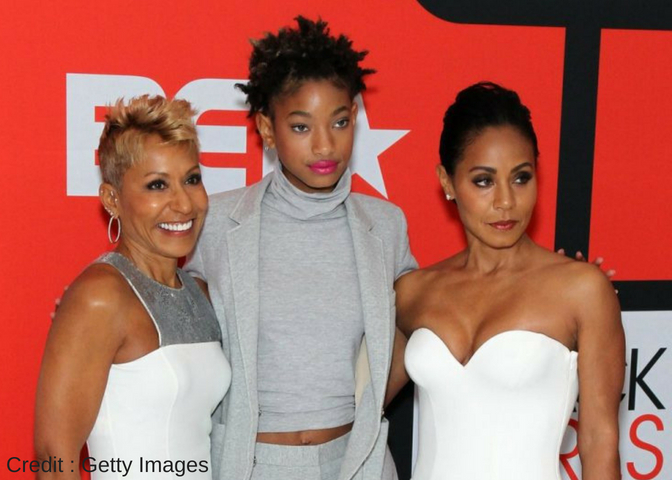 In a very honest Red Table Talk, Jada Pinkett Smith, her mother Adrienne Banfield-Jones and Willow Smith opened up about a problem facing every day families in massive proportions. Jones, The eldest of the three women and grandmother to Smith’s children was able to speak candidly about her prior struggle while raising her young family. When Jada’s mother did finally decide to seek treatment, she was embarrassed to admit the reasoning behind it, a chance at a relationship with a man she was interested in. “At that time, I didn’t think I was anything without a man. So I had this man come back in my life. It’s sad to say that I did it for a man,” she admits. After a while, her sobriety became a mission for herself and she put her path into the arms of religion.